The Dassault Rafale (French pronunciation: ​[ʁafal], literally meaning "gust of wind", and "burst of fire" in a more military sense) is a French twin-engine, canard delta wing, multirole fighter aircraft designed and built by Dassault Aviation. Equipped with a wide range of weapons, the Rafale is intended to perform air supremacy, interdiction, aerial reconnaissance, ground support, in-depth strike, anti-ship strike and nuclear deterrence missions. The Rafale is referred to as an "omnirole" aircraft by Dassault. In the late 1970s, the French Air Force and Navy were seeking to replace and consolidate their current fleets of aircraft. In order to reduce development costs and boost prospective sales, France entered into an arrangement with four other European nations to produce an agile multi-purpose fighter. Subsequent disagreements over workshare and differing requirements led to France's pursuit of its own development program. Dassault built a technology demonstrator which first flew in July 1986 as part of an eight-year flight-test programme, paving the way for the go-ahead of the project. The Rafale is distinct from other European fighters of its era in that it is almost entirely built by one country, involving most of France's major defence contractors, such as Dassault, Thales and Safran. Many of the aircraft's avionics and features, such as direct voice input, the RBE2 AA active electronically scanned array (AESA) radar and the optronique secteur frontal infra-red search and track (IRST) sensor, were domestically developed and produced for the Rafale programme. Originally scheduled to enter service in 1996, the Rafale suffered significant delays due to post-Cold War budget cuts and changes in priorities. The aircraft is available in three main variants: Rafale C single-seat land-based version, Rafale B twin-seat land-based version, and Rafale M single-seat carrier-based version. Introduced in 2001, the Rafale is being produced for both the French Air Force and for carrier-based operations in the French Navy. The Rafale has been marketed for export to several countries, and it has been selected for purchase by the Indian Air Force, the Egyptian Air Force, and the Qatar Air Force. The Rafale has been used in combat over Afghanistan, Libya, Mali, Iraq and Syria. Several upgrades to the weapons and avionics of the Rafale are planned to be introduced by 2018. In the mid-1970s, both the French Air Force (Armée de l'Air) and Navy (Marine Nationale) had requirements for a new generation of fighters to replace those in or about to enter service. Because their requirements were similar, and to reduce cost, both departments issued a common request for proposal. In 1975, the French Ministry of Aviation initiated studies for a new aircraft to complement the upcoming and smaller Dassault Mirage 2000, with each aircraft optimised for differing roles. In 1979, the French company Dassault joined the MBB/BAe "European Collaborative Fighter" (ECA) project which was renamed the "European Combat Aircraft". The French company contributed the aerodynamic layout of a prospective twin-engine, single-seat fighter; however, the project collapsed in 1981 due to differing operational requirements of each partner country. In 1983, the "Future European Fighter Aircraft" (FEFA) programme was initiated, bringing together Italy, Spain, West Germany, France and the United Kingdom to jointly develop a new fighter, although the latter three had their own aircraft developments. 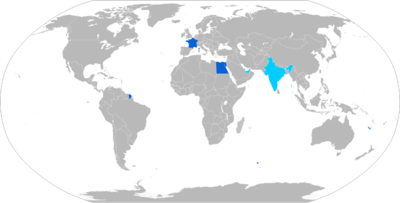 A number of factors led to the eventual split between France and the other four countries. Around 1984 France reiterated its requirement for a carrier-capable version and demanded a leading role. It also insisted on a swing-role fighter that was lighter than the design favoured by the other four nations. West Germany, the UK and Italy opted out and established a new EFA programme. [N 1] In Turin on 2 August 1985, West Germany, the UK and Italy agreed to go ahead with the Eurofighter, and confirmed that France, along with Spain, had chosen not to proceed as a member of the project. Despite pressure from France, Spain rejoined the Eurofighter project in early September 1985. The four-nation project eventually resulted in the development of the Eurofighter Typhoon. In France, the government proceeded with its own programme. The French Ministry of Defence required an aircraft capable of air-to-air and air-to-ground, all-day and adverse weather operations. Unlike other contemporary European fighter projects that required some level of international collaboration and cost-sharing, France was the sole developer of the Rafale's airframe, avionics, propulsion system and armament, and as such the aircraft was to replace a multitude of aircraft in the French Armed Forces. The Rafale would perform roles previously filled by an assortment of specialised platforms, including the Jaguar, Mirage F1C/CR/CT, Mirage 2000C/-5/N in the Armée de l'air, and the F-8P Crusader, Étendard IVP/M and Super Étendard in the Aéronavale. During October–December 1978, prior to France's joining of the ECA, Dassault received contracts for the development of project ACT 92 (Avion de Combat Tactique, meaning "Tactical Combat Airplane"). The following year, the National Office for Aviation Studies and Research began studying the possible configurations of the new fighter under the codename Rapace (meaning "Bird of Prey"). By March 1980, the number of configurations had been narrowed down to four, two of which had a combination of canards, delta wings and a single vertical tail-fin. In October 1982, the French Ministry of Defence announced that Dassault would build a technology demonstrator named Avion de Combat expérimental (Experimental Combat Airplane), in short ACX. France wanted to collaborate with West Germany and the UK on the project, but was prepared to build the ACX by itself. In 1984, the government decided to proceed with a combat variant of the ACX due to the conflicting technical criteria of the respective FEFA participant nations. The resultant Rafale A technology demonstrator was a large-delta winged fighter, with all-moving canards, embodying fly-by-wire (FBW) flight control system. Construction of the demonstrator commenced in March 1984, even before a contract was signed with the DGA, France's defence procurement agency. The technology demonstrator was rolled out in December 1985 in Saint-Cloud, and took its maiden flight on 4 July 1986 from Istres-Le Tubé Air Base in southern France. During the one-hour flight, the project's chief test pilot Guy Mitaux-Maurouard took the aircraft to an altitude of 11,000 metres (36,000 ft) and a speed of Mach 1.3. The 9.5-tonne (21,000 lb) demonstrator stopped in 300 metres (980 ft) upon landing. Throughout the flight test programme, the Rafale A performed numerous day and night take-offs and landings aboard the carriers Clemenceau and Foch to investigate the pilot's field of view during carrier operations. It reached a speed of Mach 2 (2,450 km/h; 1,522 mph; 1,322.9 kn) and a height of 13,000 metres (42,000 ft). The demonstrator was initially powered by General Electric F404-GE-400 afterburning turbofans from the F/A-18 Hornet, instead of the Snecma M88, to reduce the risk that often comes with a first flight, and since the M88 was not considered sufficiently mature for the initial trials programme. It was not until May 1990 when the M88 replaced the port F404 in the demonstrator to enable the aircraft to reach Mach 1.4 and demonstrate supercruise, or sustained supersonic flight without use of afterburners. After 865 flights with four pilots, Rafale A was retired in January 1994. At the time of the Rafale A's maiden flight, France entered unsuccessful talks with Belgium, Denmark, the Netherlands and Norway about a possible collaboration on the Rafale as a multinational project; at the time, Belgium was reportedly interested in the Rafale B. In June 1987, Prime Minister Jacques Chirac declared that the country would proceed with the US$30 billion project. 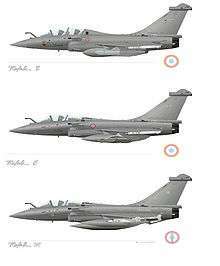 Subsequently, on 21 April 1988, the French government awarded Dassault a contract for four Rafale prototypes: one Rafale C, two Rafale Ms and one Rafale B. The first out of an expected 330 Rafales was scheduled to enter service in 1996. However, the fall of the Berlin Wall, which signalled the end of the Cold War, as well as the need to reduce the national deficit, compelled the French government to drastically reduce its defence budget; the 1994 budget for the Rafale programme was cut by US$340 million. This reduced the size of the Rafale orders, which Dassault and other companies involved claimed impeded production management and led to higher costs, and delayed the entry of the aircraft into service. The French Air Force was reorganised, the Mirage 5F was completely phased out and a total of 55 Mirage F1Cs were upgraded to a tactical fighter configuration, redesignated as Mirage F1CT. The budget cuts prolonged the Rafale's development considerably. During the Rafale A flight test programme, the French government in 1989 looked at the F/A-18 Hornet as a potential replacement for the rapidly aging F-8 Crusader, which had been serving since the 1950s. The French Navy entered talks regarding the purchase of second-hand F/A-18s with Australia, Canada and the US, after the decision was made not to upgrade the Crusaders. The US Navy agreed to supply two F/A-18s to the French Navy for "interoperability testing" aboard the French aircraft carrier Foch. The French government did not proceed with a purchase of the twin-engine fighter. To meet the various roles expected of the new aircraft, the Air Force required two variants: the single-seat "Rafale C" (chasseur, meaning "fighter" or literally "hunter") and the "Rafale B" (biplace, or two-seater). The prototype of the C model (designated C01) completed its first flight on 19 May 1991, signalling the start of a test programme which primarily aimed to test the M88-2 engines, man-machine interface and weapons, and expand the flight envelope. Due to budget constraints, the second single-seat prototype was never built. The C01 differed significantly from the Rafale A. Although superficially identical to the technology demonstrator, it was smaller and more stealthy due to the gold-coated canopy, a re-design of the fuselage-fin joint, and the addition of radar-absorbent materials (RAM). This aircraft also saw extensive application of composite and other materials, which both reduced the radar cross-section (RCS) and weight. Moreover, Dassault opted to reject variable engine inlets and a dedicated air brake, which lessens maintenance loads and saves weight. The B01, the only prototype of the two-seat B variant, made its maiden flight on 30 April 1993. It was 350 kilograms (770 lb) heavier than the single-seater, but carried 400 litres (110 US gal) less fuel. The aircraft was used for weapon-systems testing. Later it was tasked with validating weapon separation and, specifically, the carriage of heavy loads. The aircraft's typical loadout consisted of two 2,000-litre (530 US gal) external tanks, two Apache/Scalp cruise missiles, in addition to four air-to-air missiles. The Navy, meanwhile, sought a carrier-based aircraft to supersede its fleet of ageing Étendard IPVMs, F-8P Crusaders and Super Étendard Modernisés. While the Navy initially modernised the Crusaders, in the long term, the requirement was met with the navalised Rafale M. The M01, the naval prototype, first flew on 12 December 1991, followed by the second on 8 November 1993. Since France had no land-based catapult test facility, catapult trials were initially carried out between during July–August 1992 and early the following year, at NAS Lakehurst in New Jersey. The aircraft then carried out trials aboard the carrier Foch in April 1993. Flown by Dassault's chief test pilot, Yves Kerhervé, M02 made its maiden flight in November that year, while the first prototype completed the third round of testing at Lakehurst in November and December 1993. The Rafale M features a greatly reinforced undercarriage to cope with the additional stresses of naval landings, an arrestor hook, and "jump strut" nosewheel, which only extends during short takeoffs, including catapult launches. It also features a built-in ladder, carrier-based microwave landing system, and the new fin-tip Telemir system for syncing the inertial navigation system to external equipment. Altogether, the naval modifications of the Rafale M increase its weight by 500 kilograms (1,100 lb) compared to other variants. The Rafale M retains about 95 percent commonality with Air Force variants including, although unusual for carrier-based aircraft, being unable to fold its multi-spar wings to reduce storage space. The size constraints were offset by the introduction of Charles de Gaulle, France's first nuclear-powered carrier, which was considerably larger than previous carriers, Foch and Clemenceau. Initially, the Rafale B was to be just a trainer, but the Gulf War showed that a second crew member was invaluable on strike and reconnaissance missions. Therefore, in 1991 the Air Force switched its preferences towards the two-seater, announcing that the variant would constitute 60 percent of the Rafale fleet. The service originally envisaged taking delivery of 250 Rafales, but this was initially revised downwards to 234 aircraft, made up of 95 "A" and 139 "B" models", and later to 212 aircraft. The Navy, meanwhile, had 60 Rafales on order, down from 86 due to budget cuts. Of the 60, 25 would be M single-seaters and 35 two-seat Ns, though the two-seater was later cancelled. Production of the first aircraft series formally started in December 1992, but was suspended in November 1995 due to political and economic uncertainty. Production only resumed in January 1997 after the Ministry of Defence and Dassault agreed on a 48-aircraft (28 firm and 20 options) production run with delivery between 2002 and 2007. A further order of 59 F3 Rafales was announced in December 2004. In November 2009 the French government ordered an additional 60 aircraft to take the total order for the French Air Force and Navy to 180. During the Rafale's design phase, Dassault took advantage of Dassault Systèmes' CATIA (Computer Aided Three-dimensional Interactive Application), a three-dimensional computer-aided design, manufacture and engineering software suite that would become standard across the industry. CATIA enabled digitisation and efficiency improvements throughout the Rafale programme, as it implemented recently developed processes such as digital mockup and product data management. It consisted of 15 GB databases of each of the Rafale's components, assisting with various aspects of the design, manufacture and through-life support. According to the French magazine L'Usine nouvelle, apart from several non-sensitive components sourced from the United States, the Rafale is manufactured almost entirely in France. Different elements are produced in numerous factories across the country, and final assembly takes place near Bordeaux–Mérignac Airport. For example, the flight control surfaces are fabricated in Haute-Savoie, the wings and avionics in Gironde, the centre fuselage in Val-d'Oise, and the engines in Essonne. Roughly 50 percent of the Rafale is produced by Dassault and the other half divided between two major partners, Thales and Safran, who rely on a network of 500 subcontractors. Altogether, the programme employs 7,000 workers. As of 2012, the fabrication process of each fighter took 24 months, with an annual production rate of eleven aircraft. Deliveries of the Rafale's naval version were a high priority to replace the Navy's considerably aged F-8 Crusaders, and so the first production model for the French Navy undertook its first flight on 7 July 1999. Their first naval deployment was in 2002 on board Charles de Gaulle; by March 2002, the aircraft carrier was stationed in the Gulf of Oman, where its complement of Rafales undertook training operations. In December 2004, the Air Force received its first three F2 standard Rafale Bs at the Centre d'Expériences Aériennes Militaires (CEAM, i.e. the Military Air Experiment Centre) at Mont-de-Marsan, where they were tasked to undertake operational evaluation and pilot conversion training. The total programme cost, as of FY2013, was around €45.9 billion, which translated to a unit programme cost of approximately €160.5 million. This figure takes in account improved hardware of the F3 standard, and which includes development costs over a period of 40 years, including inflation. The unit flyaway price as of 2010 was €101.1 million for the F3+ version. In 2008, French officials were reportedly considering equipping the Rafale to launch miniaturised satellites. In 2011, upgrades under consideration included a software radio and satellite link, a new laser-targeting pod, smaller bombs and enhancements to the aircraft's data-fusion capacity. In July 2012, fleetwide upgrades of the Rafale's battlefield communications and interoperability capabilities commenced. In January 2014, Defence Minister Jean-Yves Le Drian announced that €1 billion is allocated towards the development of the F3R standard. The standard will see the integration of the Meteor BVR missile, among other weapons and software updates. The standard is to be validated by 2018. The Rafale is planned to be the French Air Force's primary combat aircraft until 2040 or later. The Rafale was developed as a modern jet fighter with a very high level of agility; Dassault chose to combine a delta wing with active close-coupled canard to maximize manoeuvrability. The aircraft is capable of withstanding from −3.6g to 9g (10.5g on Rafale solo display and a maximum of 11g can be reached in case of emergency). The Rafale is an aerodynamically unstable aircraft and uses digital fly-by-wire flight controls to artificially enforce and maintain stability. [N 2] The aircraft's canards also act to reduce the minimum landing speed to 115 knots (213 km/h; 132 mph); while in flight, airspeeds as low as 15 knots (28 km/h; 17 mph) have been observed during training missions. According to simulations by Dassault, the Rafale has sufficient low speed performance to operate from STOBAR-configured aircraft carriers, and can take off using a ski-jump with no modifications. Although not a full-aspect stealth aircraft, the cost of which was viewed as unacceptably excessive, the Rafale was designed for a reduced radar cross-section (RCS) and infrared signature . In order to reduce the RCS, changes from the initial technology demonstrator include a reduction in the size of the tail-fin, fuselage reshaping, repositioning of the engine air inlets underneath the aircraft's wing, and the extensive use of composite materials and serrated patterns for the construction of the trailing edges of the wings and canards. 70% of the Rafale's surface area is composite. Many of the features designed to reduce the Rafale's visibility to threats remain classified. The Rafale's glass cockpit was designed around the principle of data fusion – a central computer intelligently selects and prioritises information to display to pilots for simpler command and control. The primary flight controls are arranged in a hands-on-throttle-and-stick (HOTAS)-compatible configuration, with a right-handed side-stick controller and a left-handed throttle. The seat is inclined rearwards at an angle of 29° to improve g-force tolerance during manoeuvring and to provide a less restricted external pilot view. An intelligent flight suit worn by the pilot is automatically controlled by the aircraft to counteract in response to calculated g-forces. Great emphasis has been placed on pilot workload minimisation across all operations. Among the features of the highly digitised cockpit is an integrated direct voice input (DVI) system, allowing a range of aircraft functions to be controlled by spoken voice commands, simplifying the pilot's access to many of the controls. Developed by Crouzet, the DVI is capable of managing radio communications and countermeasures systems, the selection of armaments and radar modes, and controlling navigational functions. For safety reasons, DVI is deliberately not employed for safety-critical elements of the aircraft's operation, such as the final release of armaments. For displaying information gathered from a range of sensors across the aircraft, the cockpit features a wide-angle holographic head-up display (HUD) system, two head-down flat-panel colour multi-function displays (MFDs) as well as a central collimated display. These displays have been strategically placed to minimise pilot distraction from the external environment. Some displays feature a touch interface for ease of Human–computer interaction (HCI). A head-mounted display (HMD) remains to be integrated to take full advantage of its MICA missiles. The cockpit is fully compatible with night vision goggles (NVG). In the area of life-support, the Rafale is fitted with a Martin-Baker Mark 16F "zero-zero” ejection seat, capable of operation at zero speed and zero altitude. An on-board oxygen generating system, developed by Air Liquide, eliminates the need to carry bulky oxygen canisters. The Rafale's flight computer has been programmed to counteract pilot disorientation and to employ automatic recovery of the aircraft during negative flight conditions. The auto-pilot and autothrottle controls are also integrated, and are activated by switches located on the primary flight controls. The Rafale core avionics systems employ an integrated modular avionics (IMA), called MDPU (modular data processing unit). This architecture hosts all the main aircraft functions such as the flight management system, data fusion, fire control, and the man-machine interface. [N 3] The total value of the radar, electronic communications and self-protection equipment is about 30 percent of the cost of the entire aircraft. The IMA has since been installed upon several upgraded Mirage 2000 fighters, and incorporated into the civilian airliner, the Airbus A380. According to Dassault, the IMA greatly assists combat operations via data fusion, the continuous integration and analysis of the various sensor systems throughout the aircraft, and has been designed for the incorporation of new systems and avionics throughout the Rafale's service life. The Rafale features an integrated defensive-aids system named SPECTRA, which protects the aircraft against airborne and ground threats, developed as a joint venture between Thales and MBDA. Various methods of detection, jamming, and decoying have been incorporated, and the system has been designed to be highly re-programmable for addressing new threats and incorporating additional sub-systems in the future. [N 4] Operations over Libya were greatly assisted by SPECTRA, allowing Rafales to perform missions independently from the support of dedicated Suppression of Enemy Air Defences (SEAD) platforms. The Rafale's ground attack capability is heavily reliant upon sensory targeting pods, such as Thales Optronics's Reco New Generation/Areos reconnaissance pod and Damocles electro-optical/laser designation pod. Together, these systems provide targeting information, enable tactical reconnaissance missions, and are integrated with the Rafale's IMA architecture to provide analysed data feeds to friendly units and ground stations, as well as to the pilot. Damocles provides targeting information to the various armaments carried by the Rafale and is directly integrated with the Rafale's VHF/UHF secure radio to communicate target information with other aircraft. It also performs other key functions such as aerial optical surveillance and is integrated with the navigation system as a FLIR. The Damocles designation pod were described as "lacking competitiveness" when compared to rivals such as the Sniper and LITENING pods; so work began on an upgraded pod, designated Damocles XF, with additional sensors and added ability to transmit live video feeds. A new Thales targeting pod, the Talios, was officially unveiled at the 2014 Farnborough Air Show and is expected to be integrated on the Rafale by 2018. Thales' Areos reconnaissance pod is an all-weather, night-and-day-capable reconnaissance system employed on the Rafale, and provides a significantly improved reconnaissance capability over preceding platforms. [N 5] Areos has been designed to perform reconnaissance under various mission profiles and condition, using multiple day/night sensors and its own independent communications datalinks. The Rafale was first outfitted with the Thales RBE2 passive electronically scanned multi-mode radar. Thales claims to have achieved increased levels of situational awareness as compared to earlier aircraft through the earlier detection and tracking of multiple air targets for close combat and long-range interception, as well as real-time generation of three-dimensional maps for terrain-following and the real-time generation of high resolution ground maps for navigation and targeting. In early 1994, it was reported that technical difficulties with the radar had delayed the Rafale's development by six months. In September 2006, Flight International reported the Rafale's unit cost had significantly increased due to additional development work to improve the RBE2's detection range. The RBE2 AA active electronically scanned array (AESA) radar now replaces the previous passively scanned RBE2. The RBE2 AA is reported to deliver a greater detection range of 200 km, improved reliability and reduced maintenance demands over the preceding radar. A Rafale demonstrator began test flights in 2002 and has totaled 100 flight hours as of December 2011. By December 2009, production of the pre-series RBE2 AA radars was underway. In early October 2012, the first Rafale equipped with an RBE2 AA radar arrived at Mont-de-Marsan Air Base for operational service (the development was described by Thales and Dassault as "on time and on budget"). 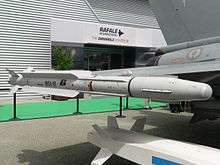 By early 2014, the first Air Force front-line squadron were supposed to receive Rafales equipped with the AESA radar, following the French Navy which was slated to receive AESA-equipped Rafales starting in 2013. To enable the Rafale to perform in the air supremacy role, it includes several passive sensor systems. The front-sector electro-optical system or Optronique Secteur Frontal (OSF), developed by Thales, is completely integrated within the aircraft and can operate both in the visible and infrared wavelengths. The OSF enables the deployment of infrared missiles such as the MICA at beyond visual range distances; it can also be used for detecting and identifying airborne targets, as well as those on the ground and at sea. Dassault describes the OSF as being immune to jamming and capable of providing covert long-range surveillance. In 2012, an improved version of the OSF was deployed operationally. Initial deliveries of the Rafale M were to the F1 ("France 1") standard, these had been equipped for the air-to-air interceptor combat duties, but lacked any armaments for air-to-ground operations. Later deliveries were to the "F2" standard, which added the capability for conducting both air-to-ground and reconnaissance operations; the first F2 standard Rafale M was delivered to the French Navy in May 2006. Starting in 2008 onwards, Rafale deliveries have been to the nuclear-capable F3 standard, and it has been reported that all aircraft built to the earlier F1 and F2 standards are to be upgraded to become F3s. F3 standard Rafales are capable of undertaking many different mission roles with a range of equipment, namely air defence/superiority missions with Mica IR and EM air-to-air missiles, and precision ground attacks typically using SCALP EG cruise missiles and AASM Hammer air-to-surface armaments. In addition, anti-shipping missions could be carried out using the AM39 Exocet sea skimming missile, while reconnaissance flights would use a combination of onboard and external pod-based sensor equipment. Furthermore, the aircraft could conduct nuclear strikes when armed with ASMP-A missiles. In 2010, France ordered 200 MBDA Meteor beyond-visual-range missiles which will greatly increase the distance at which the Rafale can engage aerial targets when the missile enters service. For compatibility with armaments of varying types and origins, the Rafale's onboard store management system is compliant with MIL-STD-1760, an electrical interface between an aircraft and its carriage stores, thereby simplifying the incorporation of many of their existing weapons and equipment. The Rafale is typically outfitted with 14 hardpoints (only 13 on Rafale M version), five of which are suitable for heavy armaments or equipment such as auxiliary fuel tanks, and has a maximum external load capacity of nine tons. In addition to the above equipment, the Rafale carries the 30 mm GIAT 30 DEFA cannon and can be outfitted with a range of laser-guided bombs and ground-attack munitions. According to Dassault, the Rafale's onboard mission systems enable ground attack and air-to-air combat operations to be carried out within a single sortie, with many functions capable of simultaneous execution in conjunction with another, increasing survivability and versatility. The Rafale is fitted with two Snecma M88 engines, each capable of providing up to 50 kN (11,250 lbf) of dry thrust and 75 kN (16,900 lbf) with afterburners. The engines feature several advances, including a non-polluting combustion chamber, single-crystal turbine blades, powder metallurgy disks, and technology to reduce radar and infrared signatures. The M88 enables the Rafale to supercruise while carrying four missiles and one drop tank. Qualification of the M88-2 engine ended in 1996 and the first production engine was delivered by the end of the year. Due to delays in engine production, some of the early Rafales were temporarily powered by the General Electric F404 engine. In May 2010, a Rafale flew for the first time with the M88-4E engine, an upgraded variant with greater thrust and lower maintenance requirements than the preceding M88-2. The engine is of a modular design for ease of construction and maintenance and to enable older engines to be retrofitted with improved subsections upon availability, such as existing M88-2s being upgraded to M88-4E standard. There has been interest in more powerful M88 engines by potential export customers, such as the United Arab Emirates (UAE). As of 2007, a thrust vectoring variant of the engine designated as M88-3D was also under development. In December 2000, the French Naval Aviation (Aéronavale), the air arm of the French Navy, received its first two Rafale M fighters. On 18 May the following year, the squadron Flottille 12F, which had previously operated the F-8 Crusader, became the first squadron to operate the Rafale after it was officially re-activated prior to the delivery of the sixth Rafale. Flottille 12F immediately participated in Trident d’Or aboard the aircraft carrier Charles de Gaulle with warships from ten other nations. During the maritime exercise, the Navy tested the Rafale's avionics during simulated interceptions with various foreign aircraft, in addition to carrier take-offs and landings. After almost four years of training, the Rafale M was declared operational with the French Navy in June 2004. The Rafale M is fully compatible with US Navy aircraft carriers and some French Navy pilots have qualified to fly the aircraft from US Navy flight decks. On 4 June 2010, during an exercise on USS Harry S. Truman (CVN-75), a French Rafale became the first jet fighter of a foreign navy to have its engine replaced on board an American aircraft carrier. In 2002, the Rafales were first deployed to a combat zone; seven Rafale Ms embarked aboard Charles de Gaulle of the French Navy during "Mission Héraclès", the French participation in "Operation Enduring Freedom". They flew from the aircraft carrier over Afghanistan, but the F1 standard precluded air-to-ground missions and the Rafale did not see any action. In June 2002, while Charles de Gaulle was in the Arabian Sea, Rafales conducted several patrols near the India-Pakistan border. In 2016, Rafales operating from Charles de Gaulle struck targets associated with the Islamic State of Iraq and the Levant. Rafales were delivered to the French Air Force several years after the naval variant, initially with the Centre d’Expériences Aériennes Militaires (French Air Force Evaluation Centre) at Mont-de-Marsan Air Base in the trials and training role. By this time, it was expected that Escadron de Chasse (Fighter Squadron) 1/7 at Saint-Dizier would receive a nucleus of 8–10 Rafale F2s during the summer of 2006, in preparation for full operational service (with robust air-to-air and stand off air-to-ground precision attack capabilities) starting from mid-2007 (when EC 1/7 would have about 20 aircraft, 15 two-seaters and five single-seaters). In 2007, after a "crash program" enhancement six Rafales were given the ability to drop laser-guided bombs, in view of engaging them in Afghanistan. Three of these aircraft belonging to the Air Force were deployed to Dushanbe in Tajikistan, while the three others were Rafale Marine of the Navy on board Charles De Gaulle. The first mission occurred on 12 March 2007, and the first GBU-12 was launched on 28 March in support of embattled Dutch troops in Southern Afghanistan, marking the operational début of the Rafale. Between January 2009 and December 2011, a minimum of three Rafales were stationed at Kandahar International Airport to conduct combat operations in support of NATO ground forces. On 19 March 2011, French Rafales began conducting reconnaissance and strike missions over Libya in Opération Harmattan, in support of United Nations Security Council Resolution 1973; initial targets were artillery pieces laying siege around the rebel city of Benghazi. The Rafale could operate in Libya without the support of SEAD aircraft, using the onboard SPECTRA self-defence system instead. On 24 March 2011, it was reported that a Rafale had destroyed a Libyan Air Force G-2/Galeb light attack/trainer aircraft on the runway. During the conflict, Rafales typically conducted six-hour sorties over Libyan airspace, carrying an armament of four MICA air-to-air missiles, four or six AASM "Hammer" bombs, a Thales Damoclès targeting pod and two drop tanks; these patrols required multiple aerial refuelling operations per sortie from coalition tanker aircraft. The AASM precision-guidance weapon system, using bombs weighing between 125 kilograms (280 lb) and 1,000 kilograms (2,200 lb), allowed the Rafale to conduct high-altitude bombing missions. Reportedly, Rafale crews preferred to use GPS-guided munitions due to greater reliability and range. Storm Shadow SCALP weapons were deployed on only one or two sorties, including one against a Libyan airbase at Al-Jufra. In 2011, aviation journalist Craig Hoyle speculated that the Rafale's performance in Libya is likely to be pivotal to its export future, reporting that the Rafale had maintained a high operational rate throughout the deployment. Hoyle also noted that the Libyan combat experience had caused several urgent operational requirements to present themselves, such as the need for a lighter ground-attack munition and to modify the AASM weapon to be more effective in the close air support role. In January 2013, the Rafale took part in "Opération Serval", the French military intervention in support to the government of Mali against the Movement for Oneness and Jihad in West Africa. The first mission was carried out on 13 January, when four Rafales took off from an airbase in France to strike rebel training camps, depots and facilities in the city of Gao, eastern Mali. Subsequent airstrikes in the following days by Rafale and Mirage fighters were reportedly instrumental in the withdrawal of Islamist militant forces from Timbuktu and Douentza. Both Rafale and Mirage 2000D aircraft used in the conflict have been based outside of North Africa, making use of aerial refuelling tanker aircraft to fly long range sorties across Algerian airspace and into Mali. In August 2013, it was proposed that France may halve the number of Rafales to be delivered over the next six years for a total of 26 aircraft to be delivered during this period; foreign export procurements have been viewed as critical to maintain production under this proposal. While production would be slowed, France would still receive the same number of Rafales overall. In September 2014, Rafales began flying reconnaissance missions over Iraq as part of Opération Chammal, France's contribution to the international effort to combat Islamic State (IS) militants. Six (later nine) Rafales were initially tasked with identifying IS positions in support of US airstrikes, flying from Al Dhafra Air Base, UAE. On 18 September, Rafales joined American operations in conducting attacks, launching four strikes near the Northern Iraqi town of Zumar that destroyed a logistics depot and killed dozens of IS fighters. In December 2015, American and French military officials reportedly discussed the possibility of French naval Rafale Ms flying combat missions from a US Navy Nimitz-class aircraft carrier as soon as January 2017. This would enable continued French Navy operations against ISIL while Charles de Gaulle undergoes its year and a half-long major refit, scheduled to begin in early 2017. Although Rafales have launched and landed on U.S. carriers to demonstrate interoperability, it would be the first time they would fly combat missions from one. As many as 18 Rafale Ms could be deployed on a carrier, although some room would have to be made for French Navy support crews familiar with maintaining the Rafale, as well as for spare parts and munitions. 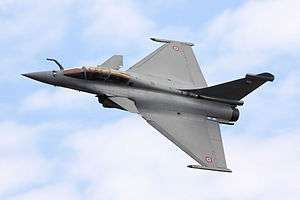 In November 2014, it was reported by several sources, including the French newspaper La Tribune that Egypt was in negotiations with France to purchase 24 to 36 Rafales, subject to the financing agreement. By February 2015, the two countries were negotiating a loan from France's export credit agency to reach an export agreement for up to 24 Rafale fighters. Egypt hoped to complete deal quickly to have aircraft on display at the inauguration of the Suez Canal expansion in August 2015. From January 2011 the Qatar Emiri Air Force evaluated the Rafale alongside the Boeing F/A-18E/F Super Hornet, the Boeing F-15E, the Eurofighter Typhoon, and the Lockheed Martin F-35 Lightning II to replace its then inventory of Dassault Mirage 2000-5s. By June 2014, Dassault had claimed it was close to signing a contract with Qatar for 72 Rafales. On 30 April 2015, Sheikh Tamim bin Hamad Al Thani announced to French President François Hollande that Qatar will order 24 Rafale with an option to buy additional 12 more aircraft. The €6.3 billion ($7.02 billion) deal for 24 Rafales was signed on 4 May. The Rafale was one of the six aircraft competing in the Indian MRCA competition for 126 multirole fighters. Originally, the Mirage 2000 had been considered for the competition, but Dassault withdrew it in favour of the Rafale. In February 2011, French Rafales flew demonstrations in India, including air-to-air combat against Su-30MKIs. In April 2011, the Indian Air Force (IAF) shortlisted the Rafale and Eurofighter Typhoon for the US$10.4 billion contract. On 31 January 2012, the IAF announced the Rafale as the preferred bidder. It was proposed that 18 Rafales would be supplied to the IAF by 2015 in fly-away condition, while the remaining 108 would be manufactured by Hindustan Aeronautics Limited (HAL) in India under transfer of technology agreements. The contract for 126 Rafales, services, and parts may have been worth up to US$20 billion. The deal stalled due to disagreements over production in India. Dassault refused to take responsibility for the 108 HAL-manufactured Rafales, as it had reservations about the ability of HAL to accommodate the complex manufacturing and technology transfers of the aircraft. Instead, Dassault said it would have to negotiate two separate production contracts by both companies. The Indian Defence Ministry instead wanted Dassault to be solely responsible for the sale and delivery of all 126 aircraft. In May 2013, The Times of India reported that negotiations were "back on track", with plans for the first 18 Rafales to be delivered in 2017. Another point of contention was a provision where Dassault was to reinvest 50 percent of the deal's earnings into India's defence sectors, either through purchases or technological expertise. In March 2014, the two sides were reported to have agreed that the first 18 aircraft would be delivered to India in flying condition and that the remaining 108 would be 70 percent built by HAL. In December 2014, it was reported that India and France expect to sign a contract by March 2015. In April 2015, during Prime Minister Narendra Modi's visit to Paris, India requested the rapid delivery of 36 Rafales in fly-away condition. Indian Defence Minister Manohar Parrikar stated that these will be inducted into the IAF within two years. India officially withdrew the 126-aircraft MMRCA tender on 30 July 2015. Shortly after, India and France missed the July target of finalising the 36-aircraft agreement. The previously-agreed-upon terms in April totaled US$8 billion for 36 aircraft costing $200 million each, with an offset requirement of 30 percent of the deal's value for France to reinvest in India's defense sector and create infrastructure in India for the Rafale to operate. India is insisting on a 50 percent offset and two bases, which France says will increase price and require separate infrastructure and two sets of maintenance, training, and armament storage facilities. In January 2016, the Indian government directed the Indian Navy to undertake detailed briefings with Dassault regarding the Rafale, in a potential start to procurement of the naval version for its aircraft carriers. The government wants commonalities between logistics and spares for fighters with the Navy and Air Force, which could lead to a buy of 54 naval fighters. On 23 September 2016, Indian Defence Minister Manohar Parrikar and his French counterpart Jean-Yves Le Drian signed the contract for the purchase of 36 off-the-shelf Rafales in a deal worth €7.8 billion with an option for 18 more at the same inflation-adjusted price. The first Rafales are expected to be delivered by 2019, and India is set to have all 36 jets within six years. The deal includes weapons and spares; the aircraft will be equipped with Meteor BVRAAM missiles. Analysts view the relatively quick series of 84 orders from Egypt and Qatar as being influenced by the Arab Spring and uncertainty of US involvement in the Middle East. In June 2015, a working group set up by the Finnish MoD proposed starting the so-called HX program to replace the Finnish Air Force's current fleet of F/A-18 Hornets. The group recognises five potential types: Boeing F/A-18E/F Super Hornet, Dassault Rafale, Eurofighter Typhoon, Lockheed Martin F-35 Lightning II and Saab JAS 39 Gripen. In December 2015 Finnish MoD sent a letter to Great Britain, France, Sweden and the United States where it informed that the fighter project was launched in the Defence Forces. The goal of the project is to replace the Hornet fleet, which will be decommissioned as of 2025, with multi-role fighters. The project has been named as HX Fighter Program. Dassault Rafale is mentioned in the letter as a potential fighter for the program. The request for information concerning the HX Fighter Program will be sent at the latest in March 2016. A call for tender will be sent in spring 2018 and the buying decision is scheduled to take place in 2021. The Rafale is one of contenders for the replacement of the Royal Malaysian Air Force's (RMAF) Mikoyan MiG-29. The RMAF is looking to equip three squadrons with 36 to 40 new fighter aircraft with an estimated budget of RM6 billion to RM8 billion (US$1.84 billion to US$2.46 billion). The other competitors for the program are the Eurofighter Typhoon, Boeing F/A-18/F Super Hornet and Saab JAS 39 Gripen. In 2009, the United Arab Emirates Air Force was interested in an upgraded version of the Rafale with more powerful engines and radar, and advanced air-to-air missiles. In October 2011, Dassault was confident that a US$10-billion deal for up to 60 Rafale aircraft would be signed. However, Deputy Supreme Commander of the Union Defence Force, Mohammed bin Zayed Al Nahyan, in November 2011 called the French offer "uncompetitive and unworkable"; France had in 2010 asked the UAE to pay US$2.6 billion of the total cost to upgrade the Rafale. Consequently, the UAE started to explore a purchase of the Eurofighter Typhoon or the F/A-18E/F Super Hornet. The newspaper La Tribune reported in February 2012, that the UAE was still considering the US$10-billion deal for 60 Rafales. Interoperatibility among the Gulf air forces has led to renewed interest in the Rafale from Qatar and Kuwait. In January 2013, President Hollande stated that he would be discussing the potential sale of Rafale to the UAE during an official visit. In December 2013, it was announced that UAE had decided not to proceed with a deal for the supply of defence and security services, including the supply of Typhoon aircraft. In September 2014 it was announced that the UAE could acquire 40 Rafales in addition to upgrades to its existing Mirage 2000s. In November 2015, Reuters reported that Major General Ibrahim Nasser Al Alawi, commander of the UAE Air Force and Air Defence, had confirmed that the UAE was in final negotiations to purchase 60 Rafales. The Rafale has been marketed for export to various countries. Various commentators and industry sources have highlighted the high cost of the aircraft as detrimental to the Rafale's sales prospects. Its acquisition cost is roughly US$100 million (2010), while its operational cost hovers around US$16,500 (2012) for every flight-hour. The Saab JAS Gripen, in comparison, costs only US$4,700 per flight-hour to operate. According to a 2009 article by the Institute for Defense Studies and Analysis, unlike the American government and its relationship with Boeing and Lockheed Martin, the lack of communication between the French government and Dassault has hampered a worldwide cooperative sales effort, as demonstrated by the case with Morocco in 2007. In June 2008, the Brazilian Air Force issued a request for information on the following aircraft: F/A-18E/F Super Hornet, F-16 Fighting Falcon, Rafale, Su-35, Gripen NG and Eurofighter Typhoon. In October 2008, the Brazilian Air Force selected three finalists for F-X2 – Dassault Rafale, Gripen NG and Boeing F/A-18E/F. On 5 January 2010, media reports stated that the final evaluation report by the Brazilian Air Force placed the Gripen ahead of the other two contenders based on unit and operating costs. In February 2011, the press announced that the new president of Brazil, Dilma Rousseff, had decided in favour of the American F-18. After much delay due to budget constraints, in December 2013 the Brazilian government selected the Gripen NG in a US$5 billion deal to equip the country's air force. In 2005, the Republic of Singapore Air Force embarked on its Next Generation Fighter (NGF) programme to replace its fleet of ageing A-4SU Super Skyhawks. A number of options were considered and the Defence Science & Technology Agency (DSTA) conducted a detailed technical assessment, as well as simulations and other tests to determine the final selection. Following this, the original list of competitors was reduced to the final two – Dassault Rafale and the F-15SG Strike Eagle. In December 2005, Singapore ordered 12 F-15SG aircraft. According to Defense Industry Daily, one major reason for the selection was that, while the Rafale had superior aerodynamics, it lacked the range and a capable radar, and had insufficient weapons and sensor integration. In February 2007, it was reported that Switzerland was considering the Rafale and other fighters to replace its Northrop F-5 Tiger IIs. The one-month evaluation started in October 2008 at Emmen Airforce Base consisting of approximately 30 evaluation flights. The Rafale along with the JAS 39 Gripen and the Typhoon were to be evaluated. Although a leaked Swiss Air Force evaluation report revealed that the Rafale won the competition on technical grounds,[N 6] on 30 November 2011, the Swiss Federal Council announced that it was planning to buy 22 Gripen NGs due to the aircraft's lower acquisition and maintenance costs. Due to a referendum, this purchase never happened. In January 2007, the French newspaper Journal du Dimanche reported that Libya sought 13–18 Rafales "in a deal worth as much as US$3.24 billion". In December 2007, Saif al-Islam Gaddafi declared Libya's interest in the Rafale, but no order was placed. French Rafales later came to Libya as part of the international military intervention during the 2011 Libyan civil war. In February 2009, French President Nicolas Sarkozy announced that Kuwait was considering buying up to 28 Rafales. In October 2009, during a visit to Paris, the Kuwaiti Defence Minister expressed his interest in the Rafale and said that he was awaiting terms from Dassault. Islamist lawmakers in the Kuwaiti national assembly threatened to block such a purchase, accusing the Defence Minister of lack of transparency and being manipulated by business interests. In January 2012, the French Defence Minister said that both Kuwait and Qatar were waiting to see if the UAE first purchased the Rafale and that Kuwait would look to buy 18–22 Rafales. However, on 11 September 2015, Eurofighter announced that an agreement had been reached with Kuwait for the supply of 28 Eurofighter Typhoons. In 2002, the Republic of Korea Air Force chose the F-15K Slam Eagle over the Dassault Rafale, Eurofighter Typhoon and Sukhoi Su-35 for its 40 aircraft F-X Phase 1 fighter competition. During 2006, while there was potentially trouble with Anglo-American negotiations over the F-35 Lightning II, there was talk of purchasing the Rafale M for the British Royal Navy. However, in May 2012, after having abandoned the F-35B STOVL version in favour of the F-35C CATOBAR variant in October 2010, the UK reverted to purchasing the F-35B. In late 2007, La Tribune reported that a prospective US$2.85 billion sale to Morocco had fallen through, the government selecting the F-16C/D instead. While French Defense Minister Herve Morin labelled the aircraft as overly sophisticated and too costly, defense analysists have said that miscalculations of the offer price by the DGA and hesitations about financing were detrimental to the negotiations. In February 2009, France offered Rafales to Oman to replace its ageing fleet of SEPECAT Jaguars. In December 2012, Oman placed an order for 12 Typhoons, after reports surfaced that the country had preference for the fighter in 2010. Technology demonstrator, first flew in 1986. Dassault used this designation (D for discrète) in the early 1990s to emphasise the new semi-stealthy design features. Two-seater version for the French Air Force. Single-seat version for the French Air Force. Carrier-borne version for the French Naval Aviation, which entered service in 2001. For carrier operations, the M model has a strengthened airframe, longer nose gear leg to provide a more nose-up attitude, larger tailhook between the engines, and a built-in boarding ladder. Consequently, the Rafale M weighs about 500 kg (1,100 lb) more than the Rafale C. It is the only non-US fighter type cleared to operate from the decks of US carriers, using catapults and their arresting gear, as demonstrated in 2008 when six Rafales from Flottille 12F integrated into the USS Theodore Roosevelt Carrier Air Wing interoperability exercise. Originally called the Rafale BM, was a planned missile-only two-seater version for the Aéronavale. Budgetary and technical constraints have been cited as grounds for its cancellation. Two-seater version for the Egyptian Air Force. Single-seat version for the Egyptian Air Force. A total of 180 have been ordered out of a planned 286, with an option for another 9. Approximately 150 are confirmed to be delivered by 2019. As of 2015, 135 had been delivered. Thales/SAGEM-OSF Optronique Secteur Frontal infra-red search and track (IRST) system. ↑ Quote: "Dassault demands design leadership as the price for European co-operation." ↑ Quote: "Longitudinal stability is moderately negative with a full fly-by-wire digital control system. The system is quadruple redundant with three digital channels and one separately designed analog channel. Design independence between channels is pivotal in preventing fatal flaws simultaneously affecting several channels due to software misconceptions." ↑ Quote: "The core of the enhanced capabilities of the RAFALE lies in a new Modular Data Processing Unit (MDPU). It is composed of up to 18 flight line-replaceable modules, each with a processing power 50 times higher than that of the 2084 XRI type computer fitted on the early versions of Mirage 2000-5." ↑ Quote: "SPECTRA provides all-weather reliable long-range detection, identification and location of threats, short response times and cutting-edge defensive measures based on combinations of jamming, decoying and evasive manoeuvres and on state-of-the-art technologies such as DRFM (Digital Radio Frequency Memory) signal processing." ↑ Quote: "According to DGA, Areos provides day identification capabilities that are two-and-a-half times better than those of the Mirage F1CR's Presto "wet-film" system and 8 times better than those of the legacy SDS250 photo pod of the Super-Étendard." ↑ Quote: "The Rafale was the clear winner of the SAF evaluation, with the Eurofighter second, but the Swiss government opted for the cheaper Gripen package." ↑ "Press Conference – July, 21st 2016 : Éric TRAPPIER, Chairman & CEO" (PDF). Dassault-aviation.com. Retrieved 2016-07-31. 1 2 3 4 5 "Projet de loi de finances pour 2014 : Défense : équipement des forces et excellence technologique des industries de défense" (in French). Senate of France. 21 November 2013. Retrieved 2 July 2014. Avant prise en compte du projet de LPM, le coût total du programme pour l'Etat était de 45,9 Mds €2013. Le coût unitaire (hors coût de développement) de 74 M€2013 pour le Rafale B (pour 110 avions) de 68,8 M€2013 pour le Rafale C (pour 118 avions) et de 79 M€2011 pour le Rafale M (pour 58 avions)." ↑ Gallois, Dominique (30 April 2015). "Le Qatar va acheter 24 avions Rafale". Le Monde (in French). Retrieved 30 April 2015. ↑ "RAFALE "F3 R" standard launched". Dassault Aviation. 10 January 2014. Archived from the original on 13 January 2014. Retrieved 25 December 2015. 1 2 3 4 5 6 7 8 9 Williams 2002, p. 92. ↑ "Omnirole by design". Dassault Aviation. Archived from the original on 2 May 2013. Retrieved 18 January 2013. 1 2 3 4 5 6 7 "Storm warning: the Dassault Rafale is poised to become Europe's premier fighter-bomber". Journal of Electronic Defense. Horizon House Publications – via HighBeam Research (subscription required) . 1 June 2005. ↑ Buttler 2000, p. 134. ↑ Eden et al. 2004, p. 168. ↑ Flight International December 1983, p. 1,509. ↑ Lewis, Paul (3 August 1985). "3 European Countries plan Jet Fighter Project". New York Times. p. 31. Archived from the original on 11 April 2012. ↑ Donne, Michael (3 August 1985). "Why three into one will go; Europe's new combat aircraft". Financial Times. ↑ "Eurofighter: Spain joins the club." The Economist, 17 September 1985, p. 68. ↑ Sweetman, Bill (1 November 2002). "Killer angels: France's Rafale has fire, but will glory remain a mirage?". Journal of Electronic Defense. Horizon House Publications – via HighBeam Research (subscription required) . Retrieved 13 January 2013. ↑ Flight International January 1983, p. 445. ↑ Sedbon July 1986, p. 4. 1 2 3 4 "Dassault-Aviation Rafale M". French Fleet Air Arm (in French). Archived from the original on 2 September 2012. Retrieved 16 January 2013. ↑ Spick 2000, p. 433. ↑ Norris and Sedbon 1991, p. 35. ↑ Cody, Edward (21 July 1987). "France Decides to Build Own Advanced Warplane; Aircraft May Compete With Eurofighter". Washington Post. via HighBeam Research (subscription required). Retrieved 13 January 2013. ↑ Sedbon and De Wulf 1986, p. 9. ↑ Sedbon January 1986, p. 11. ↑ Flight International 1991, p. 34. ↑ Moxon 1995, p. 5. ↑ Barrie 1993, p. 26. ↑ Sedbon June 1989, p. 42. ↑ Flight International 1994, p. 27. ↑ Sedbon October 1989, p. 6. ↑ "France to test F/A-18 on carrier this fall". Defense Daily. Access Intelligence – via HighBeam Research (subscription required) . 7 July 1989. Retrieved 14 January 2013. 1 2 3 4 5 6 7 Eden et al. 2004, p. 169. ↑ Williams 2002, pp. 92–93. ↑ Williams 2002, p. 93. 1 2 3 Williams 2002, p. 94. 1 2 3 4 "Le programme Rafale". Avions-militaires.net (in French). 15 October 2010. Retrieved 11 January 2013. 1 2 Williams 2002, p. 95. ↑ Forsberg 1994, p. 213. 1 2 3 4 Eden et al. 2004, p. 170. 1 2 Williams 2002, p. 108. ↑ Roosevelt, Ann (9 December 2004). "France orders more Dassault Rafale combat aircraft". Defense Daily. Access Intelligence – via HighBeam Research (subscription required) . Retrieved 13 January 2013. ↑ Hoyle, Craig (13 November 2009). "France approves contract for 60 more Rafales". Flightglobal. Archived from the original on 11 April 2013. Retrieved 15 January 2013. 1 2 Cook, Nick (1 November 1997). "Rafale sets new standards in digital assembly". Interavia Business & Technology. Aerospace Media Publishing – via HighBeam Research (subscription required) . Retrieved 28 January 2013. 1 2 Meddah, Hassan (31 January 2012). "Le Rafale, chasseur "Made in France" aux 7 000 emplois". L'Usine nouvelle (in French). Archived from the original on 4 February 2012. Retrieved 30 January 2013. ↑ "French naval plane makes maiden flight". Agence France-Presse. 7 July 1999. 1 2 MacKenzie 2002, p. 36. ↑ "Les sénateurs réévaluent le prix du Rafale". L'Usine nouvelle (in French). 5 December 2011. Archived from the original on 18 March 2013. Retrieved 15 January 2013. ↑ "Rapport public annuel 2010: la conduite des programmes d'armement" [Annual public report 2010: the management of the arms programs] (PDF). C comptes (in French). FR. 8 January 2012. Archived from the original (PDF) on 30 January 2012. Retrieved 11 January 2013. ↑ "Rafale, satellite launcher study". Dassault Aviation. 3 November 2008. Archived from the original on 27 December 2008. Retrieved 19 January 2013. ↑ Tran, Pierre (13 June 2011). "Libya Extends Rafale's Combat Experience". Defence News. Retrieved 15 January 2013. ↑ "Extensive French Rafale Upgrade Programme Begins". Def pro. 18 July 2012. Archived from the original on 31 December 2012. Retrieved 15 January 2013. ↑ Ruello, Alain (17 June 2013). "Le Rafale restera au meilleur niveau technologique jusqu'en 2050" [The Rafale will continue at the best technical level until 2050]. Les Échos (in French). Retrieved 19 October 2013. ↑ Perry, Dominic (10 January 2014). "France approves latest Rafale upgrade plan". Flightglobal. Archived from the original on 14 January 2014. Retrieved 18 January 2014. ↑ Tran, Pierre (10 January 2014). "France To Upgrade Rafale Arms, Electronics". Defense News. Retrieved 18 January 2014. 1 2 "Optimized airframe". Dassault Aviation. Archived from the original on 6 December 2009. Retrieved 13 September 2009. 1 2 Grolleau, Henri-Pierre (2014-10-01). Rafale, Chasseur omnirôle. p. 31. 1 2 3 "France is sending not one but two Rafale fighters to the Aero India 2011 airshow which is to be held in Bangalore". Defence News. IN. 25 January 2011. Archived from the original on 17 October 2013. Retrieved 5 January 2012. 1 2 3 4 5 6 7 8 9 10 11 "Rafale". Dassault Aviation. 12 June 2005. Archived from the original on 4 December 2007. Retrieved 15 October 2010. ↑ "Le Rafale Marine compatible avec les porte-avions dotés de tremplin" [The Marine Rafale compatible with the catapult equipped aircraft carriers]. Mer et Marine (in French). 25 June 2012. Archived from the original on 21 October 2012. Retrieved 15 January 2013. 1 2 3 Richardson 2001, pp. 114–115. 1 2 Forsberg 1994, p. 215. ↑ "A fully optimized airframe". Dassault Aviation. Retrieved 29 October 2015. ↑ "The sheer power of multisensor data fusion". Dassault Aviation. Archived from the original on 22 May 2013. Retrieved 20 January 2013. Implementation of the “multi-sensor data fusion” into the Rafale translates into accurate, reliable and strong tracks, uncluttered displays, reduced pilot workload, quicker pilot response, and eventually into increased situational awareness. 1 2 3 4 5 6 7 8 9 10 Collins, Peter (18 November 2010). "Flight Test: Dassault Rafale – Rampant Rafale". Flightglobal. Archived from the original on 1 January 2012. Retrieved 15 January 2013. ↑ Jarrett 2005, p. 56. ↑ New Scientist 1986, p. 33. ↑ Sedbon 1988, p. 31. ↑ Jarrett 2005, pp. 270–71. ↑ Jarrett 2005, pp. 144–45. ↑ "France's Rafale". www.defenseindustrydaily.com. Defense Industry Daily. 18 October 2016. Retrieved 31 October 2016. 1 2 3 "France's Rafale Fighters: Au Courant In Time?". Defense Industry Daily. 12 January 2014. Archived from the original on 18 January 2014. Retrieved 19 January 2014. ↑ "OBOGS". Air Liquide. Archived from the original on 19 October 2013. Retrieved 5 January 2012. 1 2 Hoyle, Craig (10 June 2009). "Paris Air Show: Rafale's fighting chance". Flight Daily News. Archived from the original on 11 April 2013. Retrieved 19 March 2011. ↑ "One careful owner – why Mirage sale might be no illusion". Arabian Aerospace. 29 April 2010. Archived from the original on 9 May 2013. Retrieved 12 January 2013. ↑ Thomas, Geoffrey (1 October 2007). "A380 First Delivery". Air Transport World. Archived from the original on 19 June 2013. Retrieved 19 October 2013. ↑ "SPECTRA integrated self-protection system for the Rafale" (PDF). MBDA. Retrieved 5 January 2012. ↑ Chaltiel, Pierre-Yves; Trouche, Jean-Marie; Bernard-Guelle, Christian. SPECTRA – Protection and avoidance system for the Rafale fighter aircraft fire control, "Nouvelle Revue d'Aeronautique et d'Astronautique." January–February 1997. pp. 23–33. 1 2 3 de Briganti, Giovanni (31 May 2011). "Rafale in Combat: 'War for Dummies'". Defense-aerospace. Retrieved 5 January 2012. ↑ "Jet, set, go!". The Week. 16 April 2011. Archived from the original on 19 October 2013. Retrieved 16 April 2011. 1 2 3 4 Guhl, Jean-Michel (1 July 2011). "Rafale in Combat". Avionics. Archived from the original on 2 March 2012. Retrieved 21 January 2013. ↑ Tran, Pierre (23 November 2013). "French To Boost R&D Across Multiple Programs". Defense News. Retrieved 25 November 2013. ↑ Hoyle, Craig (20 May 2009). 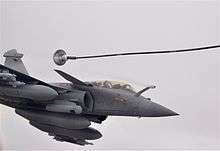 "Thales outlines sensor enhancements for Rafale". Flightglobal. Archived from the original on 13 October 2012. Retrieved 12 January 2013. ↑ "Farnborough 2014: Thales debuts Talios pod" (PDF). IHS Janes 360. 17 July 2014. Retrieved 26 November 2015. ↑ "Thales secures first export contract for TALIOS targeting pod - IHS Jane's 360". IHS Jane's Defence Weekly. 8 June 2015. Archived from the original on 26 December 2015. Retrieved 29 October 2015. 1 2 "Nowhere to hide" (PDF). Fox Three. Rafale International. 14: 12. December 2009. Archived from the original (PDF) on 25 May 2013. Retrieved 18 January 2013. 1 2 "Smart and discrete sensors". Dassault Aviation. Archived from the original on 2 February 2012. Retrieved 15 February 2012. ↑ "Fighter improvements follow Singapore defeat". Flight Daily News. 23 February 2006. Archived from the original on 13 October 2012. Retrieved 21 December 2011. ↑ Grolleau, Henri-Pierre (2014-11-01). L'antenne ACTIVE dans l'aero. p. 9. 1 2 3 Hoyle, Craig (2 October 2012). "PICTURE: France accepts first AESA-equipped Rafale". Flightglobal. Archived from the original on 7 October 2012. Retrieved 15 January 2013. ↑ "Enter the AESA and the METEOR" (PDF). Fox Three. Rafale International. 16: 3. November 2011. Archived from the original (PDF) on 25 May 2013. Retrieved 18 January 2013. ↑ "L'optronique secteur frontal (L'OSF)". Aviation-francaise.com (in French). 5 January 2012. Archived from the original on 26 April 2012. Retrieved 11 January 2013. ↑ "Caractéristiques du Rafale M". French Fleet Air Arm (in French). Archived from the original on 1 February 2011. Retrieved 14 February 2012. 1 2 Wertheim 2007, pp. 202–203. ↑ "Into combat with the Navy" (PDF). Fox Three. Rafale International. 11: 12. June 2007. Archived from the original (PDF) on 26 May 2013. Retrieved 18 January 2013. ↑ "French Ministry of Defence orders a further 59 Rafale fighters" (PDF). Fox Three. 8: 3. 2005. Archived from the original (PDF) on 25 May 2013. Retrieved 18 January 2013. ↑ "Rafale, the omnirole fighter" (PDF). Fox Three. Rafale International (14). December 2009. Retrieved 5 January 2012. ↑ Hoyle, Craig (18 October 2012). "PICTURES: Rafale clears Meteor safe separation test". Flightglobal. Archived from the original on 23 October 2012. ↑ "Air defense mission for flotille F12" (PDF). Fox Three. Rafale International. 8: 8. 2005. Archived from the original (PDF) on 22 November 2007. Retrieved 30 March 2011. ↑ Desclaux, Jacques; Serre, Jacques, eds. (14–17 July 2003). "M88 – 2 E4: Advanced New Generation Engine for Rafale Multirole Fighter". AIAA/ICAS International Air and Space Symposium and Exposition: The Next 100 Years. Dayton, Ohio: American Institute of Aeronautics and Astronautics. ISBN 978-1-56347-601-3. 1 2 "Snecma M88". Flightglobal. 9 June 1999. Archived from the original on 20 October 2013. Retrieved 12 January 2013. ↑ "Kaveri: Safran ready to invest 50 p.c. of cost". The Hindu. 8 February 2007. Archived from the original on 12 October 2007. Retrieved 15 January 2013. ↑ "Rafale Fighter Flies with Upgraded M88-4E Engine". Defense Talk. 7 May 2010. Archived from the original on 12 October 2013. Retrieved 15 January 2013. ↑ Rothman, Andrea (28 May 2011). "Safran Says It's Working on New Rafale Jet Engines for U.A.E.". Bloomberg L.P. Archived from the original on 23 October 2013. Retrieved 11 January 2013. 1 2 3 "The first Rafales join the French Navy". Interavia Business & Technology. Aerospace Media Publishing – via HighBeam Research (subscription required) . 1 July 2001. ↑ "Rafale: Multinational Success" (PDF). Fox Three. Rafale International. 3: 1. December 2001. Archived from the original (PDF) on 26 May 2013. 1 2 "Rafale fighters take off from French air force". AP Worldstream. Associated Press – via HighBeam Research (subscription required) . 27 June 2006. ↑ Suits, John (22 July 2008). "French Sailors Experience Flight Operations Aboard Roosevelt" (Press release). US Navy. Archived from the original on 4 November 2013. ↑ Cerezo, Katharine (8 June 2010). "French Squadron Performs Jet Engine Swap-Out on Board Truman". Defpro.com. Archived from the original on 15 June 2012. ↑ "En Garde!" Journal of Electronic Defense. August 2002. ↑ CNN, Fred Pleitgen. "On board the French nuclear carrier battling ISIS". CNN. Retrieved 2016-10-17. ↑ "French Air Force Omnirole Fighters Enter Service" (PDF). Fox Three. Rafale International. 8: 4. 2005. Archived from the original (PDF) on 25 May 2013. ↑ "Paris engage des Rafale en Afghanistan". Le Figaro (in French). 15 March 2007. Archived from the original on 17 March 2007. ↑ "Le Rafale, bon pour le bombardement". Midi Libre (in French). 2 March 2007. ↑ "Afghanistan : 3 Rafale français retirés". Le Figaro (in French). 1 December 2011. Archived from the original on 4 December 2011. ↑ "French military jets over Libya". BBC News. 19 March 2011. Archived from the original on 20 March 2011. ↑ "French fighter shoots down Libyan jet". BBC News. 24 March 2011. Archived from the original on 26 March 2011. 1 2 3 Craig Hoyle (14 June 2011). "France's Rafale fighter proves its omnirole skills". Flightglobal. Archived from the original on 30 September 2011. ↑ Eshel, Tamir (12 October 2011). "France Spent Over 1,000 Bombs and Missiles in the 7 Month Libyan Campaign". Defense Update. Archived from the original on 13 October 2011. ↑ "France Rafale jets target Gao in eastern Mali". BBC News. 13 January 2013. Archived from the original on 15 January 2013. ↑ "Algeria grants airspace to French jets for raids in Mali". Al Arabiya News. 13 January 2013. Archived from the original on 2 November 2013. ↑ "Islamists flee French airstrikes in Mali". The Australian. 15 January 2013. Archived from the original on 19 March 2014. ↑ Blitz, James (21 January 2013). "France and US bicker over fuel". Financial Times. Archived from the original on 26 January 2013. (subscription required (help)). ↑ Rahir, Patrick (2 August 2013). "France To Cut Rafale Order; Betting on Exports". Defense News. Retrieved 28 August 2013. ↑ "Premiers vols français de reconnaissance en Irak". Le Figaro (in French). 15 September 2014. Retrieved 4 October 2014. ↑ "France To Deploy More Fighter Jets, Warship in Islamic State Fight". Defense News. 1 October 2014. Retrieved 7 October 2014. ↑ Jennings, Gareth (19 September 2014). "French Rafale jets strike IS in Iraq". IHS Jane's Defence Weekly. Archived from the original on 21 September 2014. Retrieved 4 October 2014. ↑ Keaten, Jamey (19 September 2014). "France strikes IS depot in Iraq". Military Times. Archived from the original on 19 September 2014. Retrieved 4 October 2014. ↑ "French Navy Rafale M Fighters May Conduct Combat Missions From a US Navy CVN in 2017". Navyrecognition.com. 21 December 2015. Retrieved 28 December 2015. ↑ Cabirol, Michel (16 October 2014). "Exportation d'armes (3/4) : l'Egypte, la divine surprise en 2014". La Tribune (in French). Retrieved 6 December 2014. ↑ Bruneau, Caroline (6 February 2015). "Egypt Is Possible First Export Customer For French Rafale". Aviation Week & Space Technology. Archived from the original on 7 February 2015. Retrieved 21 February 2015. ↑ Lert, Frédéric (16 February 2015). "Egypt officially signs for 24 Rafales, FREMM frigate, and missiles". IHS Jane's Defence Weekly. Archived from the original on 18 February 2015. Retrieved 21 February 2015. 1 2 "Egypt, France to conclude €5.2 billion deal for Rafale jets". France 24. 16 February 2015. Archived from the original on 16 February 2015. Retrieved 21 February 2015. ↑ Cabirol, Michel (15 June 2016). "Et si l'Egypte achetait 12 Rafale de plus en 2016". La Tribune (in French). Retrieved 24 July 2016. ↑ "Egyptian Additional 12 Rafale Order May Delay Indian Deliveries Further". defenseworld.net. Retrieved 23 September 2016. ↑ "Egypt to receive 8 more French fighter jets in 2017". egyptindependent.com. Retrieved 15 October 2016. ↑ Fouquet, Helene; Rothman, Andrea (20 June 2014). "Dassault Said to Close in on Rafale Contract to Lift Exports". Bloomberg L.P. Retrieved 4 October 2014. 1 2 Irish, John; Altmeyer, Cyril (30 April 2015). "UPDATE 3-France and Qatar seal $7 bln Rafale fighter jet deal". Reuters. Retrieved 1 May 2015. ↑ "Qatar has chosen the Rafale" (Press release). Dassault Aviation. 30 April 2015. Retrieved 30 April 2015. 1 2 "Qatar agrees to buy 24 Rafale fighter jets from France". Al Jazeera. 4 May 2015. Retrieved 5 May 2015. ↑ "Mirage 2000s Withdrawn As India's MRCA Fighter Competition Changes". Defense Industry Daily. 8 March 2006. Archived from the original on 11 March 2006. Retrieved 15 October 2010. ↑ Prashanth, G. N. (12 February 2011). "French Rafale is best at dogfight". Times of India. Retrieved 30 March 2011. ↑ Chakravarty, Pratap (28 April 2011). "India Shortlists Rafale, Eurofighter for Jet Deal". Sydney Morning Herald. Archived from the original on 4 May 2011. Retrieved 15 January 2013. ↑ "Dassault Rafale wins MMRCA deal beating Eurofighter Typhoon". Times of India. 31 January 2012. Archived from the original on 31 January 2012. Retrieved 31 January 2012. ↑ "Dassault Rafale bags $10.4 bn deal to supply 126 multi-role combat aircraft to IAF with an option to buy ~80 more jets". Economic Times. 31 January 2012. Archived from the original on 24 May 2013. Retrieved 31 January 2012. ↑ "Rafale wins IAF's $ 10.4 billion deal to supply 126 jets". IBN-Live. 31 January 2012. Archived from the original on 1 February 2012. Retrieved 31 January 2012. ↑ "Rafale bags IAF's USD 10 bn MMRCA deal". Zee News. 31 January 2012. Archived from the original on 19 October 2013. Retrieved 31 January 2012. ↑ Black, David (24 February 2012). "Plane makers in a battle over combat aircraft orders". The National. Abu Dhabi. Archived from the original on 19 October 2013. Retrieved 19 January 2014. ↑ Asokan, Shyamantha (17 October 2013). "India to finalise Rafale deal by March: air force official". India. Reuters. Archived from the original on 17 October 2013. ↑ "Report: India-France Rafale Deal Stalled". Defense News. 5 April 2013. Retrieved 7 April 2013. ↑ Prusty, Nigam; Kotoky, Anurag (5 April 2013). "India's $15 billion Rafale deal faces delays: sources". Reuters. Archived from the original on 7 April 2013. Retrieved 7 April 2013. ↑ "New Sukhoi base to cover south India". Times of India. 13 May 2013. Retrieved 19 October 2013. ↑ "India Air Force to Buy French Fighters". United Press International. 21 September 2012. Archived from the original on 22 September 2012. Retrieved 8 August 2013. ↑ "Rs 14,000 cr cut from defence budget, hits plans". Rediff.com. 11 February 2013. Archived from the original on 22 May 2013. Retrieved 16 August 2013. ↑ Gokhale, Nitin (3 March 2014). "A big step in India's Rafale jet deal with France". NDTV. Archived from the original on 3 March 2014. Retrieved 3 March 2014. ↑ Raghuvanshi, Vvivek; Tran, Pierre (1 December 2014). "India, France Agree to Finalize Rafale Deal by Spring". Defense News. Retrieved 1 December 2014. ↑ "India to announce its intention to acquire 36 Rafale aircraft rapidly" (Press release). Dassault Aviation. 10 April 2015. Retrieved 10 April 2015. ↑ "India to buy 36 French-made Rafale jets - PM Modi PARIS". Reuters. 10 April 2015. Retrieved 10 April 2015. ↑ "India to wait another two years for French Rafale jets: Manohar Parrikar". Economic Times. 12 April 2015. Retrieved 1 May 2015. ↑ "Government withdraws tender for 126 medium multi role combat aircraft: Manohar Parrikar". Economic Times. 30 July 2015. Retrieved 20 November 2015. ↑ "Rafale deal: Pricing issues, India's insistence on 50% local spending lead to missing of July target". Economic Times. 31 July 2015. Retrieved 20 November 2015. ↑ Raghuvanshi, Vivek (19 January 2016). "India To Evaluate Rafale for Navy". Defense News. Retrieved 24 July 2016. 1 2 "India finally signs deal with France for 36 Rafale fighters". IHS Jane's Defence Weekly. 23 September 2016. Retrieved 24 September 2016. ↑ "India and France sign Rafale fighter jet deal". BBC News. 23 September 2016. Retrieved 23 September 2016. ↑ Peri, Dinakar (23 September 2016). "India, France conclude Rafale deal". The Hindu. Retrieved 23 September 2016. ↑ "Rafale Deal For 36 Fighter Jets Finally Sealed After Long Wait: 10 Facts". NDTV. Retrieved 23 September 2016. ↑ Sweetman, Bill (13 May 2015). "Opinion: Saab And Dassault Strengthen Their Fighter-Market Positions". Aviation Week & Space Technology. Archived from the original on 13 May 2015. Retrieved 13 May 2015. ↑ "Surge in Jet Purchases Reshuffles Market". Defense News. 10 May 2015. Retrieved 14 May 2015. ↑ Pugliese, David (4 November 2009). "Canadian Air Force Needs Competition on Next Generation Fighter Next Year at the Latest". Ottawa Citizen. Archived from the original on 9 November 2009. Retrieved 4 November 2009. ↑ Berthiaume, Lee (11 February 2013). "Defence officials catalogued pros, cons of F-35 competitors". Canada.com. Archived from the original on 27 August 2013. ↑ "Canada's Next Generation Fighter Capability: The Joint Strike Fighter F-35 Lightning II". Government of Canada. 16 July 2010. Archived from the original on 11 February 2011. Retrieved 26 July 2010. ↑ "Report: Ottawa set to spend $9B on new U.S. fighter jets from single source". The Guardian. Charlottetown, CA. 8 June 2010. Archived from the original on 27 August 2013. Retrieved 3 July 2010. ↑ Campion-Smith, Bruce (12 December 2012). "F-35 deal scrapped as Conservative government begins new search for fighter jet". Toronto Star. Archived from the original on 27 August 2013. Retrieved 12 December 2012. ↑ Vidalon, Dominique (8 January 2013). "Dassault sees prospects for Rafale in Canada". Reuters. Archived from the original on 13 January 2013. Retrieved 15 January 2013. ↑ "Public Works writes to five major European, US fighter jet makers to replace F-35s, critics call it a 'market' analysis". Hill Times. 14 January 2013. Archived from the original on 19 October 2013. Retrieved 20 January 2013. (subscription required (help)). ↑ "Dassault Aviation ramps up CF-18 replacement pitch". CBC News. 22 January 2014. Archived from the original on 20 March 2014. Retrieved 4 October 2014. ↑ Milewski, Terry (18 March 2015). "F-35's French rival pitches 'Canadianized' fighter jet". CBC News. Retrieved 5 May 2015. ↑ "Working group proposes multi-role fighters to replace F/A-18 aircraft". 11 June 2015. Retrieved 14 June 2015. ↑ "Potential suppliers were informed of the launching of the HX Fighter Program" (press release). FI: Def Min. 18 December 2015. Retrieved 31 December 2015. ↑ "Dassault Increases Rafale Pitch For Malaysia At LIMA 2015". Defenseworld.net. 17 March 2015. Retrieved 1 May 2015. ↑ Gale, Ivan (29 September 2009). "UAE wants its fighters its own way". The National. Abu Dhabi. Archived from the original on 29 April 2011. Retrieved 5 January 2012. ↑ Trimble, Stephen (17 November 2011). "DUBAI: UAE stings Dassault's 'uncompetitive and unworkable' Rafale bid". Flightglobal. Archived from the original on 10 December 2014. Retrieved 10 December 2014. ↑ McGinley, Shane (16 November 2011). "UAE royal blasts Dassault over fighter jet deal". Arabian Business. Archived from the original on 19 November 2011. Retrieved 15 January 2013. ↑ "UAE may ditch France to award $10bn jet deal to US". Emirates 24/7. 23 September 2010. Archived from the original on 22 October 2013. Retrieved 6 January 2012. ↑ Hoyle, Craig (12 November 2011). "Dubai: UAE issues shock Eurofighter Typhoon request". Flightglobal. Archived from the original on 14 November 2011. Retrieved 15 January 2013. ↑ Tran, Pierre (15 October 2010). "UAE May Ditch Rafale". Defense News. Retrieved 13 January 2013. ↑ "French Rafale UAE deal back on-report". Reuters. 2 February 2012. Archived from the original on 5 February 2012. Retrieved 15 January 2013. ↑ "France's Hollande To Push for Rafale Sale in UAE". Defense News. 9 January 2013. Retrieved 11 January 2013. ↑ Spence, Peter (19 December 2013). "UAE pulls out of BAE Typhoon aircraft deal". City A.M. Archived from the original on 20 December 2013. Retrieved 3 September 2014. ↑ "France, UAE Close In on Spy Sat Deal". Defense News. 1 September 2014. Retrieved 10 December 2014. ↑ Hepher, Tim (11 November 2015). "UAE in final stages of talks to buy Rafale jets". Reuters. Retrieved 12 November 2015. ↑ Laurent, Lionel (12 January 2010). "Dassault under pressure to cut Rafale fighter price". France. Reuters. Archived from the original on 1 February 2014. Retrieved 20 January 2013. 1 2 "Gripen operational cost lowest of all western fighters: Jane's". Strat Post. Archived from the original on 16 February 2014. Retrieved 20 January 2014. ↑ Monsonis, Guillem (14 May 2009). "Rafale: the doomed French bird". Institute for Defense Studies and Analysis. Archived from the original on 1 February 2014. Retrieved 20 January 2014. ↑ "Jobim discute sistemas militares na França e Rússia". O Estado de S. Paulo (in Portuguese). 25 January 2008. Archived from the original on 6 June 2013. Retrieved 15 January 2013. ↑ Trimble, Stephen (6 October 2008). "Brazil names three finalists for F-X2 contract, rejects three others". Flightglobal. Archived from the original on 2 October 2012. Retrieved 13 January 2013. ↑ "FAB prefere caça sueco a francês". Folha de S. Paulo (in Portuguese). 5 January 2010. Retrieved 15 October 2010. ↑ "Gripen favorit i Brasilien". Dagens Nyheter (in Swedish). 15 October 2010. Archived from the original on 13 March 2014. Retrieved 11 January 2013. ↑ "Le Brésil le F-18 au Rafale de Dassault". Le Parisien (in French). 9 February 2011. Retrieved 15 January 2013. ↑ "Mantega diz que país não tem dinheiro para comprar caças" (in Portuguese). Universo Online. 28 February 2011. Archived from the original on 20 October 2013. Retrieved 19 March 2011. ↑ Mehta, Aaron (18 December 2013). "Brazil Picks Sweden's Gripen Fighter Jet". Defense News. Retrieved 19 December 2013. ↑ "Singapore Seals Deal to Acquire Twelve F-15SG" (Press release). Ministry of Defence (Singapore). 12 December 2005. Archived from the original on 25 March 2006. Retrieved 19 October 2013. ↑ "F-15SG: Singapore's RSAF Decides to Fly Like An Eagle". Defense Industry Daily. 1 October 2014. Retrieved 4 December 2014. ↑ "Rafale für Testflüge in der Schweiz gelandet". Neue Zuercher Zeitung (in German). 9 October 2008. Archived from the original on 18 December 2014. Retrieved 19 December 2014. ↑ Pocock, Chris (14 February 2012). "Rafale blowing hot again in Switzerland". AIN Online. Archived from the original on 16 February 2012. Retrieved 19 February 2012. ↑ Hoyle, Craig (30 November 2011). "Rafale team fights back after Swiss Gripen win". Flightglobal. Archived from the original on 5 December 2011. Retrieved 19 February 2012. ↑ "UPDATE 3-Dassault source denies reported Libya Rafale order". Reuters. 14 January 2007. Archived from the original on 12 April 2013. Retrieved 15 January 2013. ↑ Antonovics, Nick; Belot, Jean-Michel (5 December 2007). "France to sell Libya up to 14 fighter jets – report". Reuters. Archived from the original on 13 October 2012. Retrieved 12 September 2011. ↑ "Libye : Les Rafale tirent des missiles de croisière Scalp". Mer et Marine (in French). 25 March 2011. Archived from the original on 31 October 2012. Retrieved 15 January 2013. ↑ "Kuwait MPs Object To Rafale Purchase Deal". Defense News. 21 March 2010. Retrieved 15 January 2013. ↑ "Kuwait eyeing Rafale jets". United Press International. 23 October 2009. Archived from the original on 27 October 2009. Retrieved 20 February 2012. ↑ "Kuwaiti MPs seek to block Rafale sale". United Press International. 23 March 2010. Archived from the original on 25 March 2010. Retrieved 15 January 2013. ↑ "Qatar and Kuwait wait to follow UAE's lead over purchase of Rafale fighter jets from France". The National. 10 January 2012. Archived from the original on 13 January 2012. Retrieved 20 February 2012. ↑ "Eurofighter welcomes the agreement between Italy and Kuwait for the supply of 28 Eurofighter Typhoons". Eurofighter. 11 September 2015. Retrieved 11 September 2015. ↑ "Kuwait Opts For Eurofighter Typhoon". Aviation Week. 11 September 2015. Retrieved 11 September 2015. ↑ Govindasamy, Siva (22 October 2007). "South Korean F-15K deal may close by end 2007". Flightglobal. Archived from the original on 5 November 2012. Retrieved 19 January 2014. ↑ McGhie, Tom; Gee, Jack (26 February 2006). "Anglo-US defence deals in jeopardy". The Is Money. Archived from the original on 6 June 2012. Retrieved 12 September 2011. ↑ "Reverse thrust; Britain's aircraft-carriers.". The Economist. 21 April 2012. Retrieved 24 July 2016 – via HighBeam Research. (subscription required (help)). ↑ Hughes, Chris (11 May 2012). "Pounds 250M AIR RAGE; Fury over Coalition U-Turn on Joint Strike Fighter Jets". The Mirror. Retrieved 24 July 2016 – via HighBeam Research. (subscription required (help)). ↑ Newby, Andrew (21 September 2007). "Dassault Aviation to lose Rafale order in Morocco to Lockheed Martin – report". ABC Money. Archived from the original on 26 August 2013. Retrieved 15 January 2013. ↑ Walz, Angela (2 February 2010). "Arizona Air Guard to train Moroccan F-16 pilots". Arizona National Guard. Archived from the original on 12 July 2012. Retrieved 2 October 2010. 1 2 Jarry, Emmanuel (24 October 2007). "France to rejig arms sales after Rafale flop". Reuters. Archived from the original on 12 April 2013. Retrieved 19 March 2011. ↑ Lancesseur, Alain (19 October 2007). "Echec du Rafale au Maroc : un gâchis franco-français". Les Échos (in French). Retrieved 10 December 2014. ↑ Jarry, Emmanuel (11 February 2009). "France offers Rafale fighter to Oman – sources". Reuters. Archived from the original on 17 May 2012. Retrieved 5 January 2012. ↑ Hoyle, Craig (9 April 2010). "Oman edges closer to Typhoon deal says UK". Flightglobal. Archived from the original on 14 January 2012. Retrieved 5 January 2012. ↑ Wall, Robert. "BAE's $4 Billion Oman Order Extends U.K. Fighter Heritage". Bloomberg L.P. Archived from the original on 23 October 2013. Retrieved 30 December 2012. ↑ Gaines 1989, p. 80. ↑ Williams 2002, pp. 94–95. ↑ "French Rafale lands on US aircraft carrier, Theodore Roosevelt". SAFRAN. 2 September 2008. Retrieved 20 November 2014. ↑ "The first Egyptian Rafale should be delivered within ten days". Defens-aero.com (in French). 15 July 2015. ↑ "Francia entregará la fragata FREMM a Egipto el próximo día 23". defensa.com (in Spanish). 18 June 2015. ↑ Rahir, Patrick (2 August 2013). "France To Cut Rafale Order; Betting on Exports". Defense News. Retrieved 19 January 2014. ↑ "France To Make Military Personnel Cuts". Aviation Week. 2 August 2013. Archived from the original on 19 October 2013. Retrieved 19 October 2013. 1 2 "2014 first half-year results" (PDF) (Press release). Dassault Aviation. 25 July 2014. Retrieved 4 October 2014. 1 2 "44 Rafale Marine auront été livrés fin 2015". Mer et Marine (in French). Retrieved 28 December 2015. 1 2 3 4 5 6 "Rafale deployment history". Dassault Aviation. Archived from the original on 29 September 2013. Retrieved 18 January 2014. ↑ Lert, Frédéric (18 July 2016). "French Navy retires Super Etendard". IHS Jane's Defence Weekly. Retrieved 23 October 2016. ↑ "L'accident du Rafale dû à une "désorientation spatiale" du pilote" [The Rafale accident due to the pilot’s ‘spatial disorientation’]. RTL (in French). 10 January 2008. Archived from the original on 23 June 2013. Retrieved 15 January 2013. ↑ Hoyle, Craig (1 October 2009). "Aviation News: French navy locates pilot's body with crashed Rafale". Flightglobal. Archived from the original on 11 April 2013. Retrieved 15 January 2013. ↑ "Accident de Rafale au large du Pakistan" [Rafale accident by Pakistan’s shores]. La Tribune (in French). 28 November 2010. Retrieved 12 January 2013. ↑ Quisnel, Jean (2 July 2012). "Crash d'un Rafale en Méditerranée" [A Rafale’s crash in the Mediterranean]. Le Point (in French). Archived from the original on 23 October 2013. Retrieved 28 August 2013. 1 2 3 4 "Specifications and performance data". Dassault Aviation. Archived from the original on 14 December 2013. Retrieved 18 June 2013. ↑ "Rafale M". French Navy (in French). Archived from the original on 20 December 2013. Retrieved 28 August 2013. ↑ "AREOS : Airborne Reconnaissance Electro Optical System". Thales Group. Archived from the original on 19 October 2013. Retrieved 19 October 2013. Barrie, Douglas (22 December 1993 – 4 January 1994). "1994...". Flight International. London, UK: Reed Business Information. 144 (4401): 23–28. ISSN 0015-3710. Archived from the original on 10 December 2014. Wikimedia Commons has media related to Dassault Rafale.